If you have not yet met Noni, you should become familiar with this fruit in absentia, and then introduce your body is already "in practice". Why? You will learn from the detailed description of therapeutic herbal juice. Noni - fruit that grows on a tree, Morinda. This plant can withstand any weather, so using it, your body will also take over this capacity. 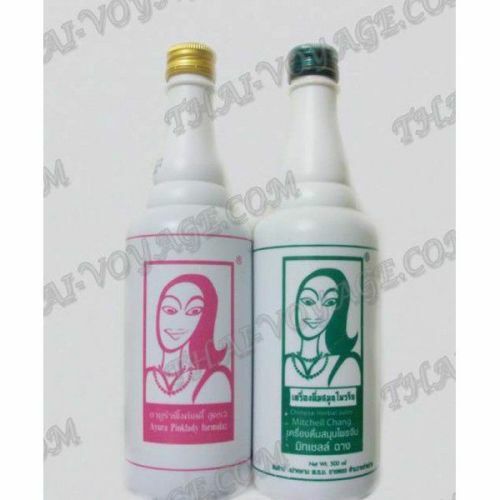 Herbal healing juice obtained from noni fruit by direct extraction, has a light / dark brown. Its content does not include any additives (no dyes or preservatives). As part of the therapeutic juice - noni juice, which contains vitamins (groups A, B1, B2, C), minerals (iron), macronutrients (Ca, K, Mg, Fh, Na, Cl), amino acids (glutamic, glycine, cystine, and et al. ), water, fruit extracts, turmeric root, Chinese ginger, brown sugar, ginseng, honey. In some cases it is necessary to drink herbal juice Pink Lady? - If you have problems gastrointestinal system. - In the state of neurosis, depression, chronic fatigue. - In diseases of the stomach - gastritis, ulcers. - When the parent, or menstrual pain. Your body as a whole will be rejuvenated by improving the skin's collagen (lift, strengthen), remove wrinkles, improve breast shape, rejuvenation of the female genital organs (erstwhile elasticity of the vaginal muscles). Eat Pink Lady healing juice on an empty stomach about half an hour before meals or 2-3 hours after eating. Dosage: 30 ml before breakfast. In acute or chronic diseases, may be taken in the evening and after meals. Do not mix the juice with other drinks (tea, coffee, milk, alcohol). The course is recommended for the complete recovery of the body - 4 bottles of 500 ml. General recommendations. Used along with other drugs is possible! Try to drink as much water as possible. This will contribute to the speedy cleanse the body of toxins, toxins. Consider also his former state of health. If you have a serious problem, the recovery process can not only drag, but also prove to be uncomfortable and painful. If you will not own these feelings, it is possible to reduce the dose of reception of juice, but in any case it is not necessary to stop recovery. Everyone knows that "after the night comes the morning," and if you soak overnight, then in front of you will be waiting for the clearest and cheerful morning. Contraindications - idiosyncrasy, during pregnancy and lactation. Keep the juice of Pink Lady in a dry place, avoiding direct sunlight. The bottle can be stored 2 years from date of manufacture. After first opening of the bottle, juice can be stored up to 30 days at 2-4 degrees of heat. blueberry juice 30%, cane sugar 10%, tsitvarnaya root (turmeric) 5%, 5% Javanese turmeric, noni juice 5%, 5% Chinese ginger, galangal 5% black, 5% of the honey. Composition of the product the blueberry juice 30% , cane sugar 10%, Cina root (turmeric) 5%, turmeric Javanese 5%, Noni juice 5%, ginger 5%, black galangal 5%, honey 5%.